New to modulars and especially the eurorack format ? No worries, internet is full of informations and Music Radar recently published an excellent guide to help you know more about this fantastic sound creation approach. Let’s embark on a journey through the pioneering frontier of synth hardware. A land of strange, esoteric panels, and peculiarly-named devices that couldn’t possibly be justifiable releases for big, multinational hardware manufacturers with large overheads and more mouths to feed. A World with over 1000 modules, where our ultra-Franken-synth can do or be more or less anything we can imagine. It’s a world where you can email the company with questions about its new module, and get a reply not from a form, but as a personal message from the person who actually designed and built it. 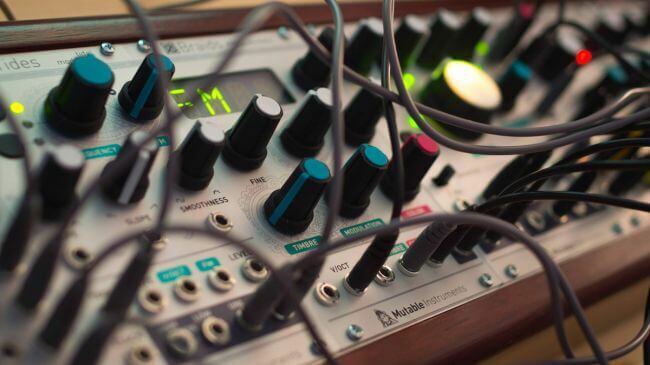 Like anything, Eurorack isn’t intimidating once you know some of the fundamentals – there’s just a lot of choice, and certain risks to be aware of. What you need is to know how it works, its history, to meet some of the best-known players and artists, and to find out how to learn more. You just need a guide, and some discipline. So keep clicking that ‘Next’ button, and all will be revealed. Best leave your purses and wallets at the door for safe keeping.